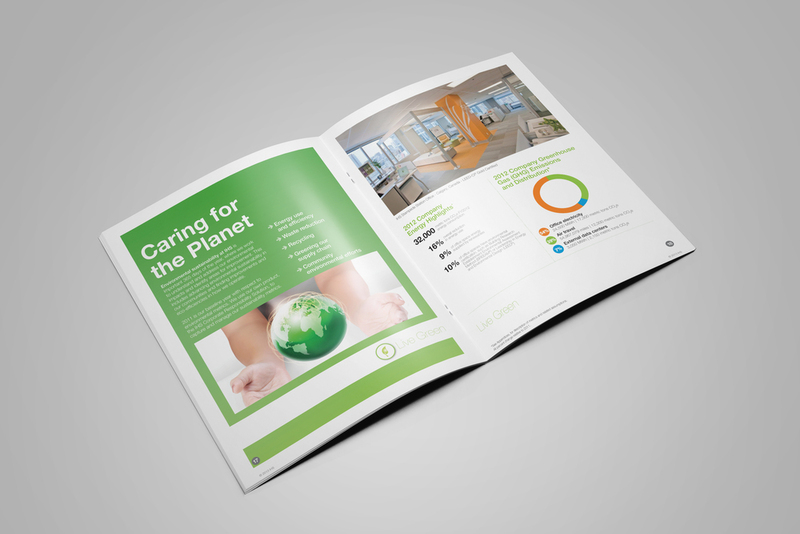 2012 was the first year IHS produced a Sustainability Report and I was given the opportunity to develop this piece with the marketing and sustainability teams. 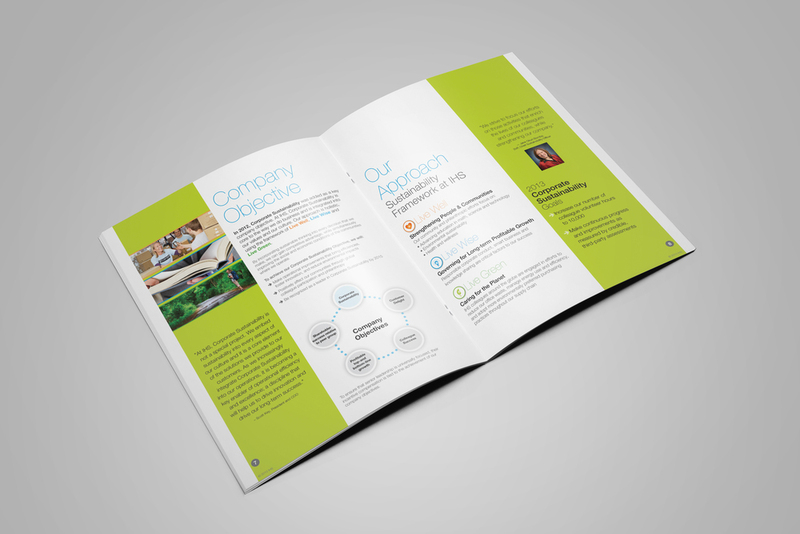 Initial discussions began in early February where I gave each team guidelines and direction on what was necessary to complete the report and a general overview of how the report should be set up, physically and visually. Since this was the first year for the report we had a rather large learning curve on what content to include and in what order it should be presented. The results were more then we had hoped. 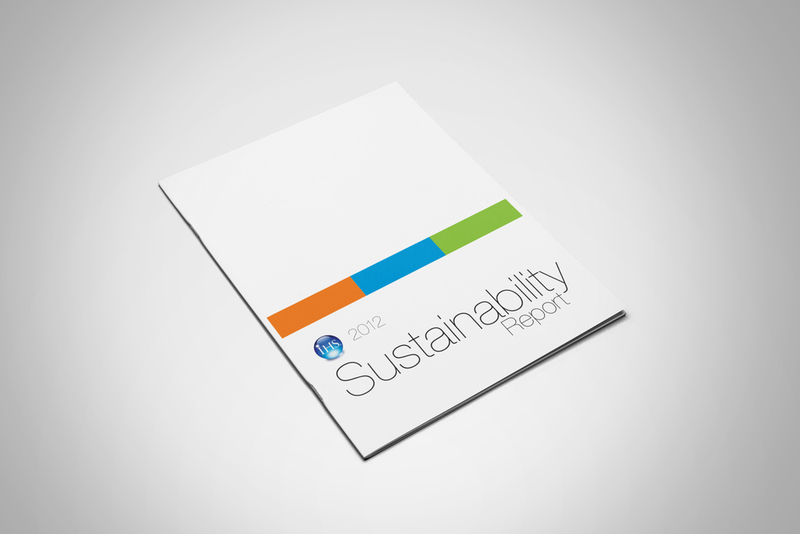 IHS was named to the Dow Jones North America Sustainability Index and the report was a finalist for the 2012 PR News Corporate Social Responsibility award, with other notable nominees including: Coca-Cola Enterprises, Adobe, AECOM, and International Paper.